I know this guy who never reads fiction. His reason is basically that there are too many amazing true stories in the world to waste any time with made-up ones. Of course, he's a historian. But I sympathize with his rationale. 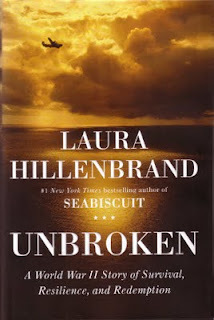 And Laura Hillenbrand's Unbroken: a World War II Story of Survival, Resilience, and Redemption is a case in point. 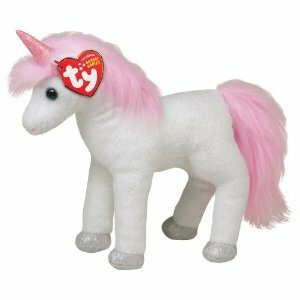 It's a true story that no fiction writer could ever have gotten away with imagining. It's just too incredible. 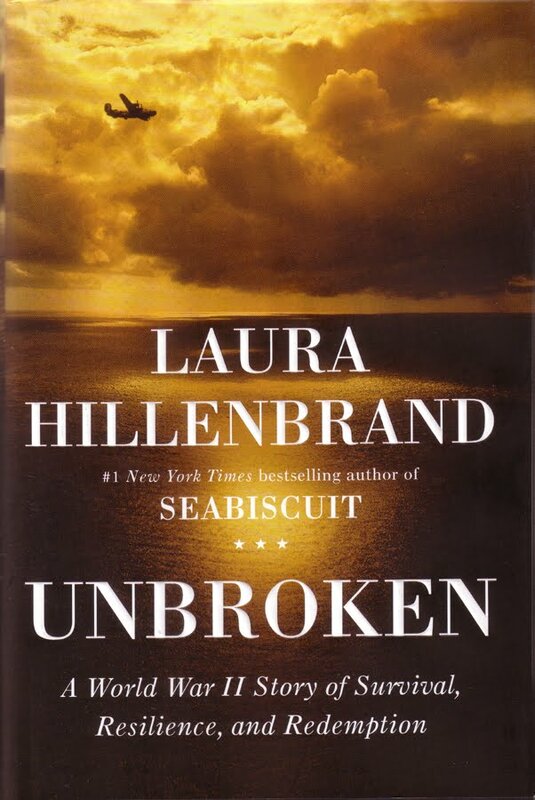 Unbroken tells the story of Louis Zamperini, a juvenile-delinquent-turned-Olympic-athlete who becomes a bombardier in World War II only to have his B-24 crash into the Pacific Ocean. Zamperini and two of his fellow crewmen survive the crash to spend weeks drifting in inflatable life-rafts, enduring exposure, thirst, starvation, predation from sharks, and attacks from a Japanese bomber. And that's just the first half of the book! What follows is an odyssey that spans the length of World War II and beyond. Zamperini checks out his bullet-riddled B-24 after a bombing raid on Nauru. I'll try not to spoil any more the story, but suffice it to say that Zamperini's tale completely disproves F. Scott Fitzgerald's quip that "there are no second acts in American lives." Indeed, as Zamperini himself exemplifies, one gets as many chances as one takes. Hillenbrand writes with a dramatic, even cinematic, style that would beg credulity if it weren't for her fastidious notations. I feel sure that, as with her first book, Seabiscuit, a movie adaptation will be made. But what movie could capture every turn that Unbroken takes? It would have to be a long miniseries to do justice to the epic sweep of this book. And Louis Zamperini's own personal progress fits well with the contemporary mania for true-life accounts of hard-won redemption. As heroic as the gloss of Louis Zamperini's life may seem, in truth, the man is all-too-human, and it's his refreshing honesty that anchors the book. His volatile temper and his love of booze often get the best of him. But I know many 12-steppers who could take comfort & inspiration from the way Zamperini confronts his own failings and perseveres even as his circumstances get worse and worse. I give nothing away by revealing that, at least for Louis, the one-time "Torrance Tornado" who set a college track record and seemed destined for Olympic gold, this book ends happily. At the 1998 Nagano Olympics, he is a bearer of the Olympic flame. 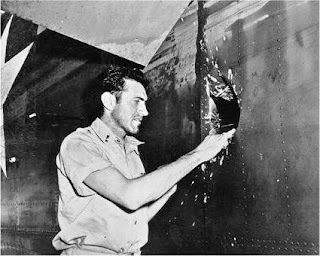 It's an ending that Zamperini heartily earns. Unbroken entralled me from the very first page. Give it a chance, and I'm sure you'll be swept along, as well. Taste of the Nation is a nationwide charity tasting event to fight childhood hunger. Here in Las Vegas, this event will be held tomorrow night, May 19th, at the Palms Casino. Tickets are $75 or $100 per person, and all proceeds from ticket sales will go to local charities, including Three Square food bank, an organization that does more good in a day than I'll do in a lifetime. Sure, the tickets to Taste of the Nation are a little expensive, but there will be dozens of fine restaurants there, as well as a handful of food trucks. And all of us will be handing out tasty samples of our finest offerings. Participating restaurants can be found here. Unlike far too many kids in this country, if you attend this event, you won't be going to bed tomorrow night with hunger pangs. I will be there, too, working with Grouchy Johns coffee, to serve up some caffeinated goodness. I guarantee that, by the end of it, you'll have more than satisfied both your stomach and your soul, all for the price of a meal on the Strip. Please join me & Grouchy John there. You can buy tickets here. I've always been a casual fan of The Who, meaning I've been a longtime owner and listener of their greatest-hits album. But that's about as deep as it's gone. Until now. 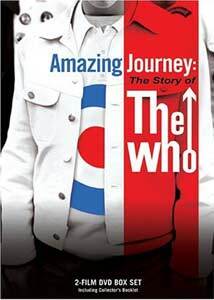 See, I just watched the documentary, Amazing Journey: The Story of The Who, and I thoroughly enjoyed it. While their story is a familiar one (four young lads form a band and hit it big in the 1960's, eventually becoming arena gods until excess and age begin to catch up with them), Amazing Journey benefits from the cooperation and candor of The Who's surviving members, which include, of course, Roger Daltrey and Pete Townshend, as well as a couple of former managers and Kenney Jones, the drummer who replaced the irreplaceable Keith Moon. Of course, in its broad outlines, this story is the same as the stories of The Beatles and The Rolling Stones. But the devil is always in the details, isn't it? And the devils revealed by Amazing Journey: The Story of The Who are (at least for me) mesmerizing. First, there is the unbridled energy of The Who 's live performances, which is evident from even the earliest clips of the band. Keith Moon played drums like he was literally on fire, as if he needed to hit every drum in his kit as often as possible, constantly playing fills and rolls. It was as if Moon were always playing solos rather than providing backing beats for the band. And the same went with John Entwistle's bass-playing, which consisted mainly of very aggressive lines played at very high volume, in stark contrast to his physical stage presence, which was often (with the exception of his very busy fingers) statuesque. This rhythm section coupled raucously with Pete Townshend's guitar mastery (which could turn in an instant from intricacy to bombast, with Townshend accentuating his strums with his trademark pinwheeling arm) and Roger Daltrey's throaty, emotive vocals and almost-messianic stage poses, creating the perfect arena-rock band. Often, when talking about a particular band's performance, you'll hear the term "tightness" used, which refers to how well the band's components work together to create musical effects. Well, The Who was a tight band, but they were also deeply competitive on-stage, so that they often appeared to be a quartet of performers who were dueling each other for the lead line of a given song, sometimes by merely cranking up their amplifiers. It didn't hurt that Townshend and Moon occasionally amped-up the spectacle by destroying their instruments, which they claim was a direct inspiration for Jimi Hendrix. And Townshend's material evolved likewise, from the 3-minute singles of their early albums to the rock operas and anthems of their later career. In Amazing Journey: The Story of The Who, both Daltrey and Townshend are frank about the toll that the band's reliance on Townshend-as-scribe had on their relationships. Anyone who has had to deal with the pressure of being creative on demand will sympathize with the frustration and alienation it causes. Inserted testimonials from the likes of The Edge, Noel Gallagher, Sting, Steve Jones and Eddie Vedder also help inflate the mythic quality of the story, but thankfully their presence is judicious and unobtrusive. The documentary itself does quite a lot of hagiography, so it really doesn't need any celebrity assistance. But, like all of us, even the members of The Who were all-too-human. And, while of course it's painful to watch the likes of Moon and Entwistle succumb to the excesses of their appetites, it's also comforting to see the survivors reach a level of maturity and acceptance with themselves and their legacy, attaining a kind of hard-won wisdom (as if there's any other kind). The second disk of Amazing Journey: The Story of The Who is as rich as the first, with segments dedicated to each original member of the band, as well as a segment detailing their aesthetic milieu (a la pop art and the mods) and a final part showing Daltrey & Townshend at work on a contemporary project, a 2003 recording of the song, "A Real Good Looking Boy," with Greg Lake, among others, joining them. In the end, it all makes me wish I'd made it to one of those concerts in the mid-to-late 1970's when The Who were at the peak of their powers and theatricality. But knowing what I know now, I also wouldn't mind seeing them as they are today -- men who have lived and loved and created and who are still going at it, wiser and more appreciative for having survived the journey. Just woke up from a dream where I stopped an alien invasion by getting them to eat my barbecued short-ribs and drink some sweet tea. Turns out that the aliens, who were a tall, martial race of sentient reptiles from Venus, were so enchanted by the concept of barbecue that they drafted me to be an envoy from Earth, spreading the gospel of barbecue and reforming their warmongering society with generous helpings of grilled meats and side-dishes served on sagging paper plates. 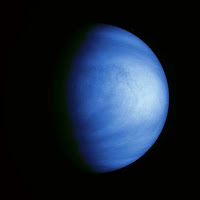 In return, the Venusians, who were all hermaphrodites named Arno (plus a number), shared with us the secrets of cold fusion, frictionless lubrication, and the Ion Drive. They shed their glittering exoskeletal armor for Wrangler jeans and Tommy Bahama shirts, but they found the concept of shoes abhorrent and painful, as they did almost all of our music, except gregorian chants and Tuvan throat-singing. After catching me playing Angry Birds, the Venusian military regarded my Iphone with deep suspicion and warned me never to use it in public while visiting their planet. I had to assure them that I doubted I could get a signal that far from Earth and, besides, since there were no outlets, my battery would soon die. Once I returned from the turreted domes of Venus, I was immediately made grand marshal of a parade that ran from Coronado beach in San Diego up the coast of California to Candlestick Park. The parade lasted 4 days, and I spent the entire time on a float made to look like a giant Char-Broil grill, with dry-ice smoke and commemorative cryo-packs of marinated short-ribs that I had to throw out to the throngs that lined the highway. At one point, the parade paused so that I could judge a televised contest of JJ-impersonators, all of whom had to tell bad jokes while flipping burning meat with short tongs. I was a little disturbed to find that the impersonator I picked to win was a 14 year-old Puerto Rican girl who had shaved her head, donned a pair Woody Allen glasses, and memorized the punchlines of George Carlin. I became even more miserable when, during closing ceremonies at Candlestick Park in which I was presented with many honorifics from the likes of Nelson Mandela, the Queen of England, Ryan Seacrest, and the Brood Mother of the Venusians (who presented me with a bracelet that would protect me from all infections and cancers and was also a supercomputer that connected directly with my brain), I was told that I was expected to continue touring the world and the solar system, spreading the gospel of barbecue and peace, but that my friends and family could not accompany me because of the security risk. I was assured that they are were being amply compensated, and the President let slip that HBO had already started shooting a movie about me and my efforts to save humanity, to be directed by Michael Bay and narrated by Alton Brown. I was then told that my tour would last years, and I could only communicate with my loved ones via Skype until it was over. When I asked why I had to tour the solar system as well as my home planet, I was told by the President and the Brood Mother that Mars and the Asteroid Belt are both inhabited by a race of barbaric unicorns who do nothing but duel with each other and boil all their food, even their desserts. Then I was expected to come home and deal with the North Koreans. 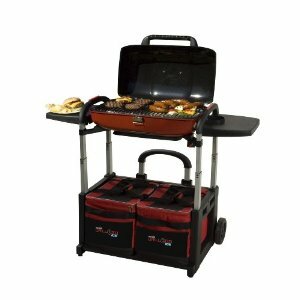 And so, girded with my monogrammed apron and my nuclear-powered collapsible grill (which was self-cleaning and folded up nicely into a convenient backpack), I boarded the Venusian flying saucer, ever lonely but determined to do my best to bring a meaty peace to those scrappy, wrongheaded unicorns (who, it turned out, had a real thing for Jimmy Buffet and lemonade). Every couple of years, when the Olympics start playing again on my television, I always have the same thought: "They make it look so easy!" Whether I'm watching a gymnast tumbling & skipping through her floor routine or a ski-jumper executing some impossible freestyle stunt before sticking his landing, I actually entertain the thought, "That doesn't look so hard!" Of course, on an intellectual level, I know I could never even attempt such feats, even were I to train for years. But the fluidity and grace these incredible athletes exhibit is like an optical illusion, masking the difficulties they endure & overcome in their pursuit of their discipline. The poetry of Billy Collins is like this. It looks so easy. The language and tone he uses are simple & conversational. His images are similarly familiar & ordinary. Yet his poems contain riches that even the most opaque high-modernist could only aspire to. And, more often than not, Collins's poems are funny, too. Take, for instance, the poem, "What She Said," from his new collection, Horoscopes for the Dead. Using the voice of a young woman on a failing date, Collins takes the most common of colloquialisms ("give me a break") and repeatedly whips the reader with it in a comic evocation of exasperation that makes head-shaking use of yet another colloquialism in its title. 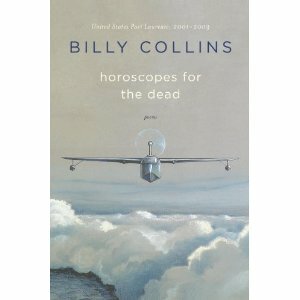 But Horoscopes for the Dead is perhaps the least overtly comic of Billy Collins's numerous collections. In this latest book, the two-term Poet Laureate of the United States seems more concerned with mortality than ever, opening with a lovely poem ("Grave") that posits a man visiting his deceased parents' gravesite and having a kind of conversation that becomes a meditation on the vast & silent gulf between the living and the dead. But all is not gloom and doom (though there is an especially evocative poem called, "Memento Mori," which contains the wonderful lines, "And the realization that no one/who ever breasted the waters of time/has figured out a way to avoid dying," before winding up with the speaker sitting in what I hope must be a cheerful bar in Cocoa Beach). Collins just can't help injecting what amounts to gentle smiles into even his most clear-eyed gazes unto the void which awaits us all. Now, I always get a queasy feeling when I'm explicating a poem. I think such activity is akin to explaining a joke. The best poems are greater than any explanation of them, which is a notion that Billy Collins himself made poetically real in his great (and often-quoted) poem, "Introduction to Poetry," wherein a teacher exhorts his students to enjoy a poem, even as they torture it. See, even when tackling the most serious of subjects, whether it's the subject of poetry itself or the larger subject of mortality, Collins is able to see their comic side. He is constantly whistling past the graveyard, as it were. Take also, for instance, the poem, "Cemetery Ride," from the last section of Horoscopes for the Dead, wherein a bike-ride through a cemetery becomes a kind of wry census of the human race as the speaker of the poem converses with the interred, inviting them by name to join him on his bicycle while imagining their responses. In this poem, the dead come off as merely stodgy rather than truly departed. But my personal favorite poem from Horoscopes for the Dead is "Drawing You From Memory," a poetic expansion of the notion that absence makes the heart grow fonder. It ends, of course, with a comedic reversal. To say more would deflate the joke. I wonder if I'll live long enough to see if it ever does. In the meantime, I'll console myself with Horoscopes for the Dead. You should, too.